Teen Arrested After Offering 3-Year Old Nephew To "Hit The Blunt"
A dumbass was arrested this weekend after a video surfaced on Facebook showing him give cannabis to his 3-year-old nephew. A man from Arkansas was arrested this weekend after a video surfaced on Facebook showing him give cannabis to his 3-year-old nephew in the back of his car. 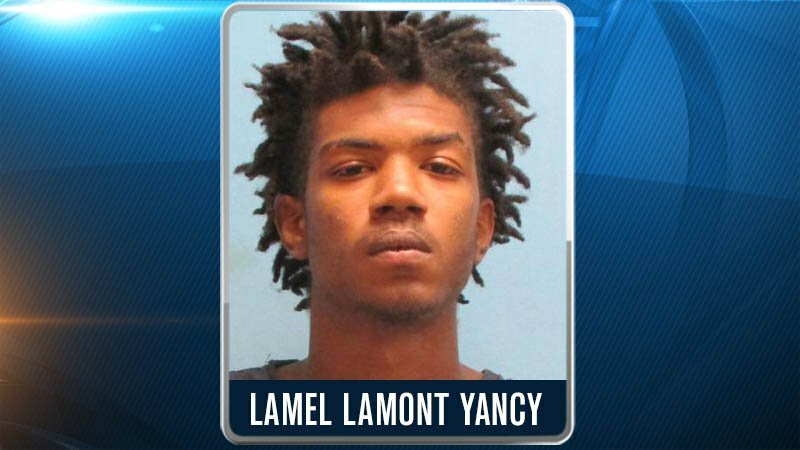 Police identified the man as Lamel Yancy, who happens to be only 17 years old. The video has caused outrage online because the mother of the child didn’t seem to be bothered by what had occurred. Scroll to the bottom for the video that blew on the internet up this weekend. Yancy has unofficially performed the most immoral type of peer pressure that the internet has seen. The 3-year-old is now in the custody of his grandmother and the police have brought Yancy to jail. Charges of child endangerment have yet to be announced, but I think the majority of us would expect an appropriate response from the department. One of the terrible aspects of this story is the way that Yancy ask his toddler nephew if he’d like to smoke. It’s so brutally casual that it makes the viewer think that it might not have been the first time Yancy has offered a blunt to a toddler. The fact that the guy posted the video online, thinking it was funny, just goes to show the IQ of this embarrassment of an uncle. What do you think is an appropriate punishment for an act like this? Share with us on Facebook, Twitter, or in the comments below!